Here are the posters for the 2013 allotment competitions, which if you want you can download as a pdf. 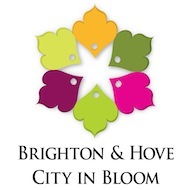 This years competition is run as usual with The Brighton and Hove Allotment Federation in partnership with ‘Brighton and Hove City in Bloom’. of Queen Elizabeth II and has been awarded each year to the winner of The Best Kept Allotment. For new allotment holders who have taken on a new tenancy in the last year (after Jan 2012) and have made the most progress in cultivating their allotment. We are also running a Childrens Competition. 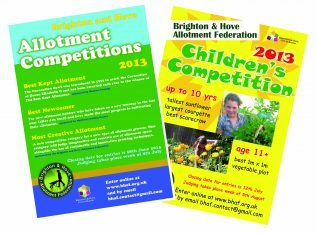 Closing date for entries for the childrens competitonis 12th July 2013, judging takes place the week of the 5th August. Please email your details, site and plot number to bhaf.contact@gmail.com.